From the first time I saw the L0 & Sons Catalina Deluxe Weekender, I have wanted it! Since I usually check a bag, I have been searching for a carry-on bag that would fit over the handle of my rolling suitcase. I really don’t want to be pushing to rolling suitcases through the airport. The Lo & Sons Catalina Deluxe Weekender does that and more! As I mentioned, the over the handle sleeve was what sold me on this bag in the first place. 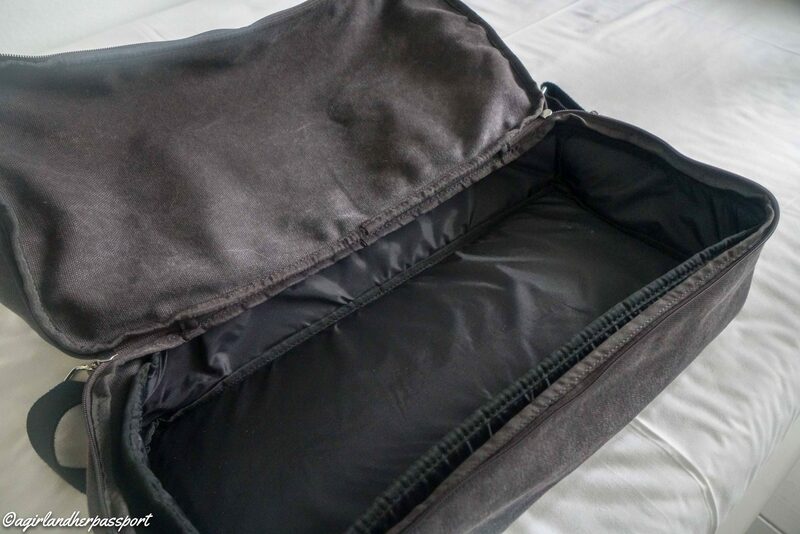 There is a pocket with zippers on top and bottom that you slide over your suitcase handle. You can then tighten the zippers to the size of your suitcase handle. No more carry-on bag falling off your suitcase as you push it through the airport. The only issue I can see with this is if your handle is really wide or is not a double rod handle as the sleeve is about ten inches across. The next best thing is the bottom pocket. It is separate from the main compartment so you can put shoes or dirty clothes in it without getting your clean clothes dirty. The bottom pocket has a rigid liner so it holds its shape and can protect fragile items. The liner is removable. Inside the main compartment are several pockets for organizing smaller items. The main compartment is large and holds plenty of clothes or things you will need onboard the plane. 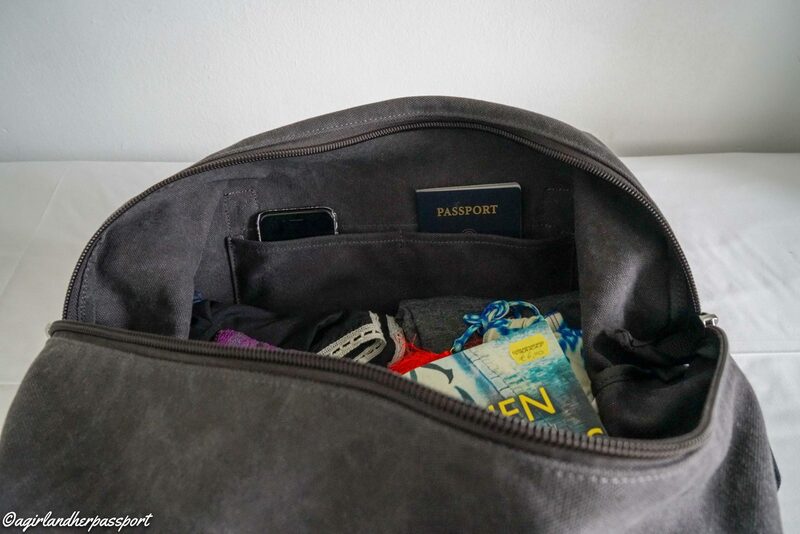 On the outside of the bag is one more pocket, which is excellent for storing your phone and passport. There are two ways to carry the Catalina Deluxe Weekender bag. One is the shoulder strap. The shoulder strap comes with a detachable memory foam pad, and the strap is adjustable. Also, there are two shorter handles. The handles are long enough for me to put over my shoulder. The Catalina Deluxe Weekender is made of canvas. The canvas isn’t a heavyweight canvas, so the bag is light. It also makes it easy to spot clean. The bag comes in seven colors, and the handles are usually a contrasting color. The zipper pulls are made of brushed silver and feel nice in hand. 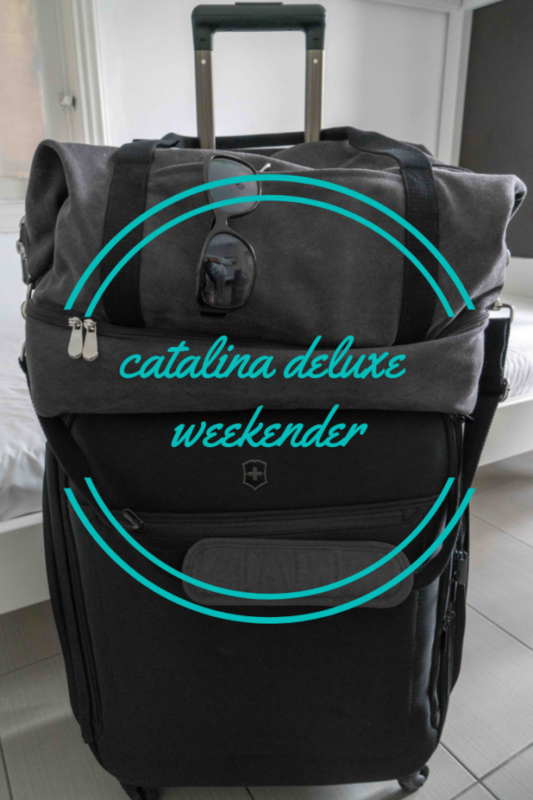 Overall, I love the Catalina Deluxe Weekender. It is precisely as expected. The box it arrived in was so small, I thought there had been a mistake, but the bag rolls up to a nice small size. The Weekender comes in two sizes, small and large. Due to my height, I ordered the small. It is the perfect size to fit on top of my suitcase. My biggest issue is that even with the shoulder strap shortened; it is still too long for my short frame. The bag hits me a strange angle and makes it hard to walk. Of course, this is only an issue when I am carrying it and not putting it on the suitcase. However, I can carry the bag with the two handles over my shoulder comfortably. Another issue is that it does hold plenty of things and I overpacked it twice! Good as the Catalina Deluxe Weekender carries tons, but bad because I had a sore shoulder after. Obviously not the bags fault! Here is an example of me not overpacking the bag. You can see I still have room for toiletries. Two things I wish it had are a key leash and a removable nylon bag. I tend to throw my keys into bags, and they get lost in the clothes, so the key strap would keep that from happening. 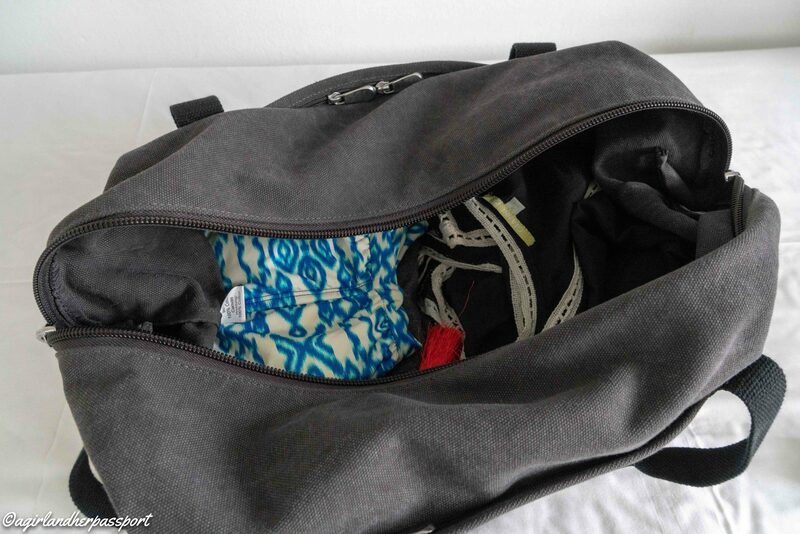 On a recent trip, my bathing suit was still wet when I needed to pack so it would have been nice to have a bag for wet things. If it was removable, then you could leave it when you knew you wouldn’t need it or store shoes in it. The bag seems like it will hold up for a long time and I am pleased with it. When I go on shorter trips, I plan on using it as my only bag. Lo & Sons has other versions of the Catalina. One bag is larger, and the other is smaller. Do you own a Lo & Sons bag? Leave us your thoughts! PS. 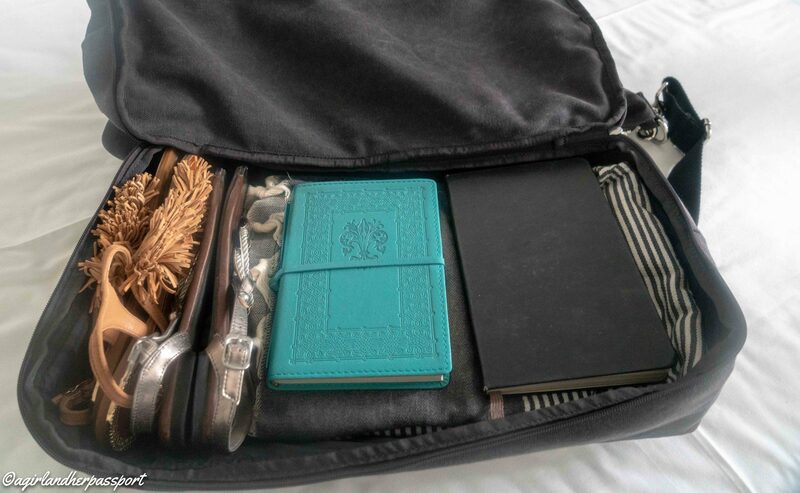 If you are interested in my Victorinox Suitcase, you can click here to purchase it on Amazon. Packing for a sailing trip around the Greek Islands seems like it should be easy, you just through a swimsuit, shorts and sunscreen and go right?! Well, that might be fine on a cruise, but reading the list provided by the sailing company I was unsure how to pack and what to pack it in. 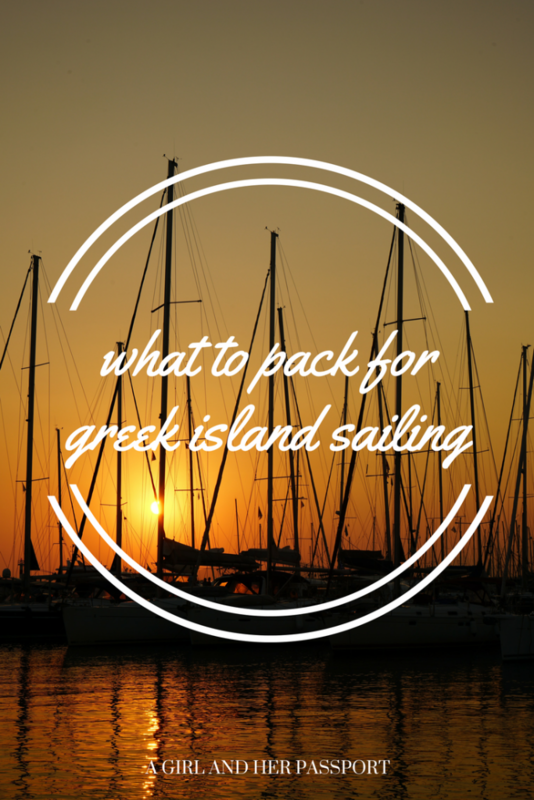 Surprisingly I only found a few blog posts regarding packing for a sailing or boat trip. 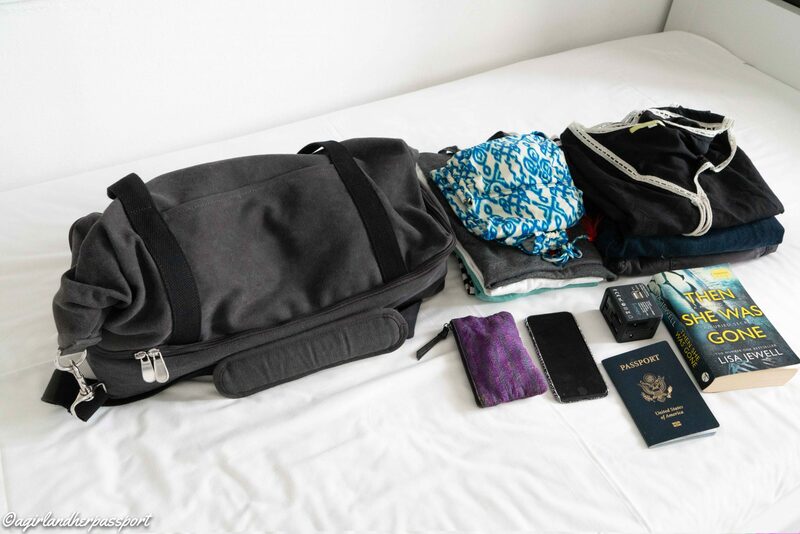 One was The Blonde Abroad’s post on packing for yacht week. The other was Her Packing List. Both are great lists but were not for a two-week trip, and only one was for a trip to Greece. My trip was for two weeks and included nights out for dinner almost every night. I recommend only bringing cotton and linen items as you will feel much more comfortable in those fabrics, and they dry quickly. You may be able to get laundry done on one of the islands. Greece is also casual and you will not feel out of place in shorts every day. At night people do dress a bit nicer, but Greece is still casual at night, think summer dresses and nice pants. This post contains affiliate links. There is no additional cost to you but helps me maintain the blog. 4-5 pairs of shorts – I only brought three and kicked myself for taking the 4th pair out at the last minute. Yes, I did laundry, but even linen takes time to dry in the humid air. 5-6 t-shirts and tank tops – I brought this many because I tend to spill on myself! Windbreaker – Preferably one that is waterproof. It rained one day and one rough sea day and mine kept me warm. 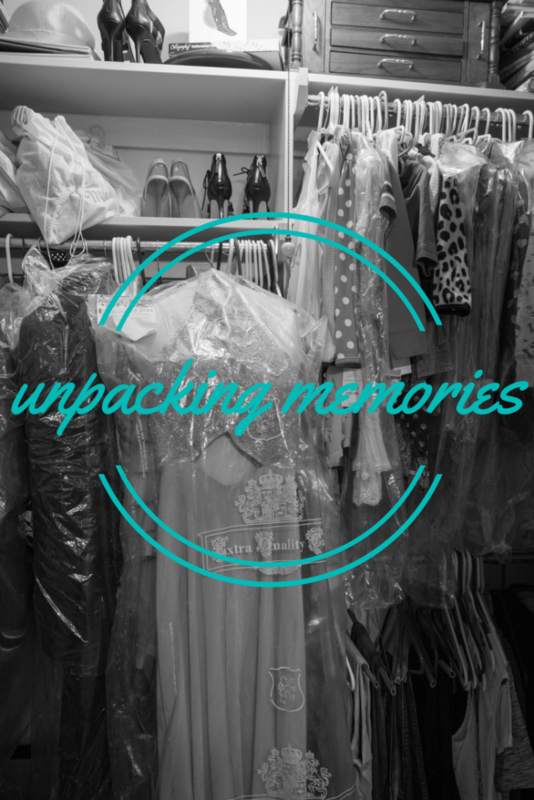 3-4 swimsuits – Too many! Probably isn’t a thing, but I wore my two bikinis the most. 1-2 coverups or sarongs – I wore my cover up when walking to beaches from the boat. You could also wear your shorts, but then they might be wet. I made sure mine were long enough to be comfortable to wear inside a shop or restaurant I might want to pop into along the way. Hat – Make sure it has a strap to keep it on in the wind or attach it to your clothes with a clip. 1 pair of flip-flops – Essential for the beach. 1 pair of deck shoes with light colored soles – These are especially important if you plan on helping with the sailing of the boat. They will protect your toes from getting broken! These Nike ones had breathable mesh, and I loved them. Deodorant – It is hot! Shampoo/Conditioner – For two weeks, I brought full-sized bottles because I have long hair. You may be able to get away with less. The sea and the wind do take a toll on your hair, so conditioner is a must. Hair texturizer – You will not be able to blow dry your hair on the boat, so bring something to style your hair (if you want). The link it to my favorite sea salt spray. Bar of soap – I found this much easier and one less liquid to bring on onboard. Lotion – The sea and the sun will dry your skin out. Bring something that doubles as after-sun (something with aloe vera). Bug wipes – There are mosquitos in Greece. I prefer bug wipes as again, one less liquid and it doesn’t spray everywhere. Get the unscented ones! 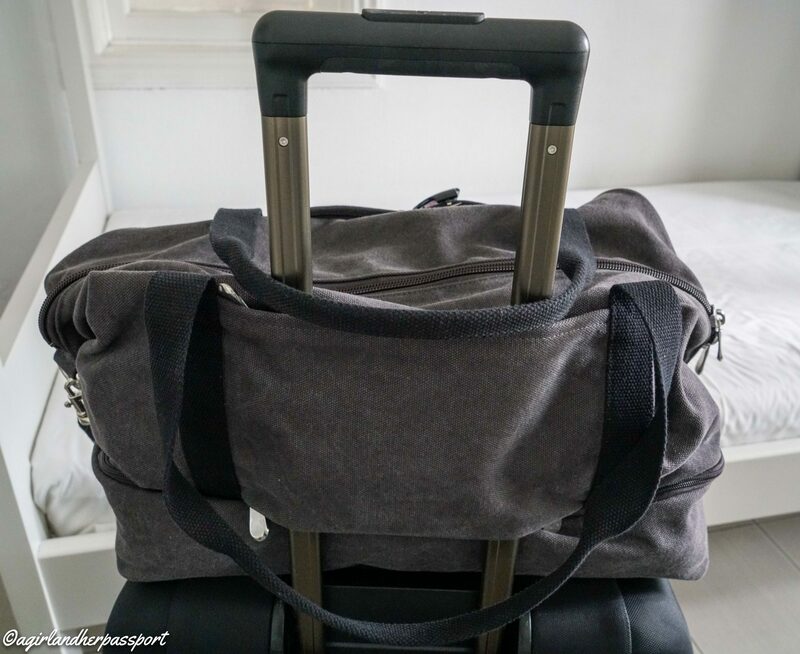 Rolling duffle bag – There is nowhere to store a traditional rolling suitcase. You need a bag that can be squished flat for storage. The one I chose had a small hard bottom, which offered some protection for fragile things and liquids. 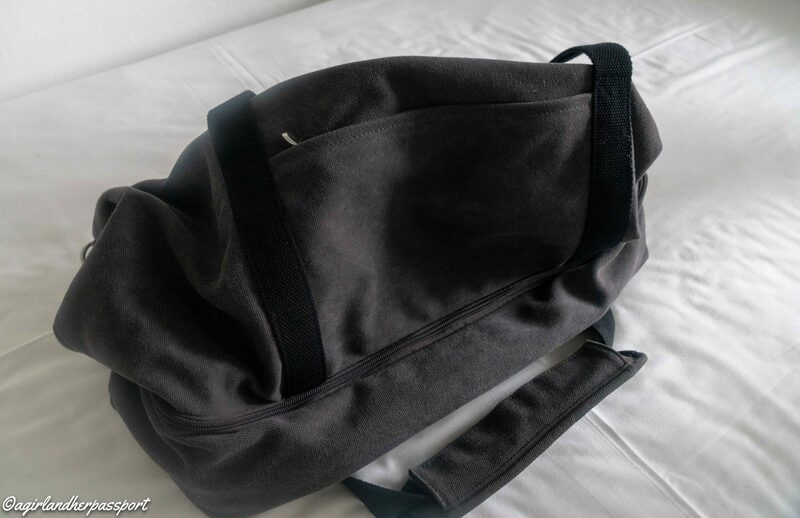 Day bag – You will want something to carry while sightseeing. Beach bag – I didn’t bring one but was given a tote on arrival in Athens, and I was so glad as I brought it to the beach. Evening bag – You may want something to carry to dinner instead of your day bag. Dry bags – If you bring a camera or any other electronics, you should bring at least one dry bag. This will keep it protected if you have to take the dingy to shore. Camera – This goes without saying, but you will want your camera. E-reader – If you are a big reader like me, then bringing several books was easier with an e-reader. Beach towel – The company I went with did not provide beach towels, so I brought a Turkish towel for the beach. They are thinner than a regular towel, are super absorbent and can act as a sarong in a pinch. Clothespins – You will want to hang your clothes to dry, and the boat may have some pins, but if everyone hangs up at the same time, the pins go quickly. Earplugs – Some harbors are loud at night, and wearing earplugs helped me to get to sleep and stay asleep. Have you been sailing? What do you recommend to pack? I know the general consensus from the world is that they would like 2016 to be over. While I agree some awful things are happening in the world, I would like to focus on the good things of 2016. 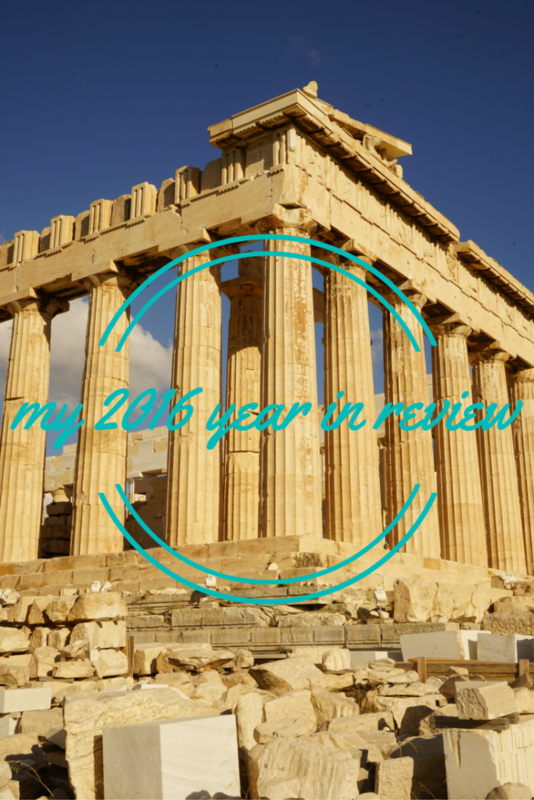 This year I am going to tell you all the good things, not just the travel things. Here is my 2016 year in review! As usual, I was looking to plan a trip right when I returned from my trip home. 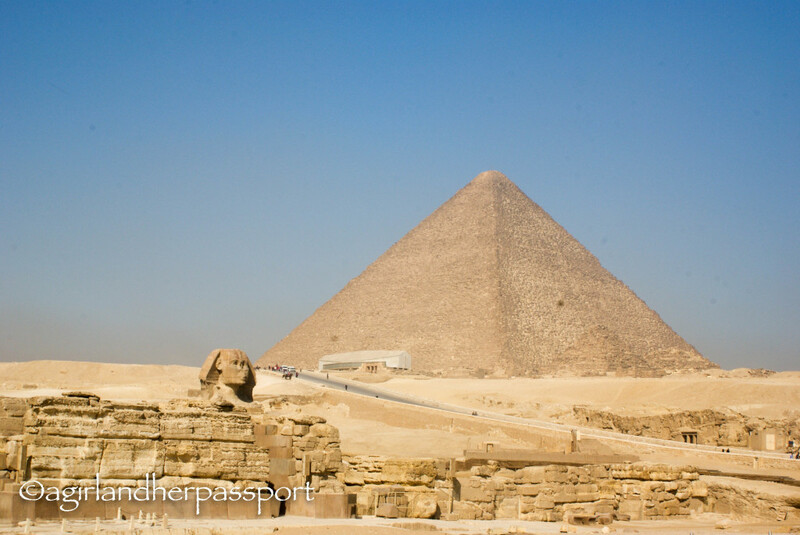 I quickly decided, with the help of my Mom, to head to Egypt in February! Not sure why it took me so long to decide to go there as I had wanted to go for a long time. My trip to Egypt was the second week of the month, and I loved every minute of it. Seeing the pyramids was an experience I will never forget. It just baffles me that humans made them. Sailing up the Nile was another experience that I truly enjoyed. I can sit and watch the water go by for hours and not get bored. Not only that I got to see the sun set and rise over the Nile. Here is the video from that day. I started working out with a personal trainer. This set me up to lose four clothing sizes over the next several months! If you follow me on Snapchat, you probably saw lots of snaps of me on the treadmill and pictures of the sunrise over Doha. One of my friends invited me on a Dhow boat cruise, which I had only done once before. It was a warm day with great company. 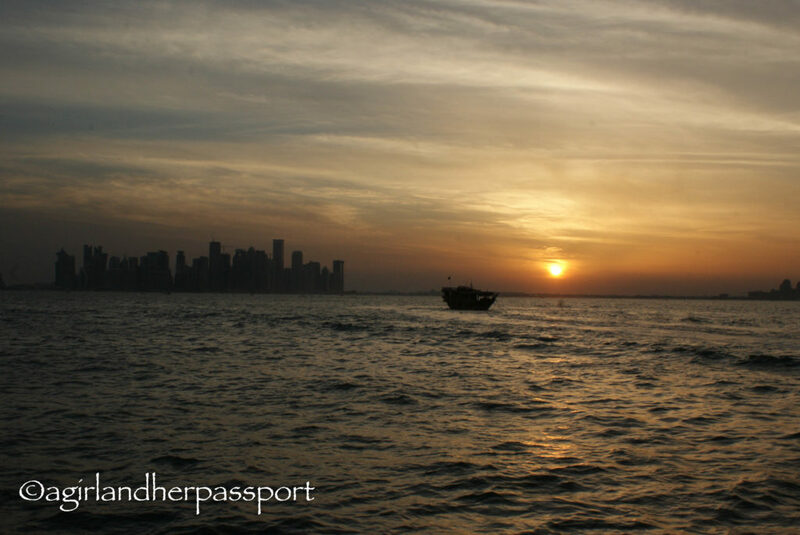 I met new people and watched the lights come on in Doha as the sun went down. I also took one of my favorite photos of the year that day! A paper I wrote was accepted to be presented at a conference, and the conference just happened to be in Slovenia! Slovenia is by far the most beautiful country I have been to so far. 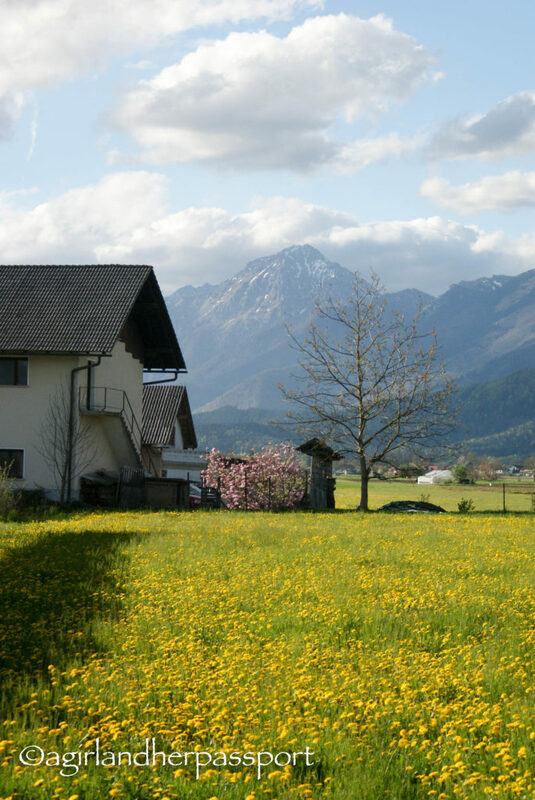 I got to see much of its beauty because I drove from Ljubljana to Radenci, where the conference was being held. Not only was it beautiful, but the food was also amazing. Most of it was local, and you could taste how fresh it was. I treated myself to a staycation at the W Doha. Staycations may become my new obsession! 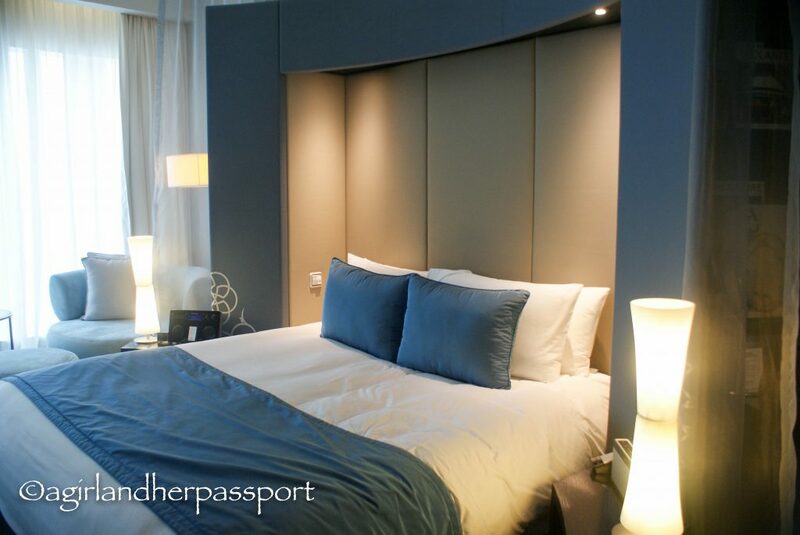 I felt totally relaxed after the stay, and there was no stress of having to travel anywhere. May was a month of prepping. By now I had lost all the weight and desperately needed new clothes. I was heading to Italy for a month at the end of May and had nothing to wear! Not that I am complaining. A good friend went with me to try on clothes, and it was a good thing she did as I would have left with clothes slightly too big because I wasn’t convinced yet that I had lost so much weight. At the very end of May, I left for a month in Italy. Believe it or not, this was for work. I was taking a course on bookbinding and bookbinding restoration. The first weekend though was spent with my friends in Italy. They just happen to live close to the course and it was great to start of my trip with them. 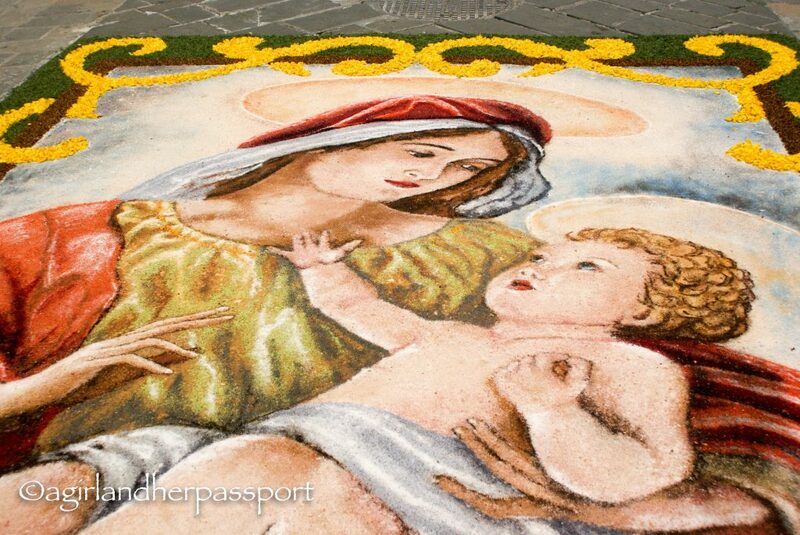 They live in a small village and when I arrived the Infiorata was happening. Such a neat experience. 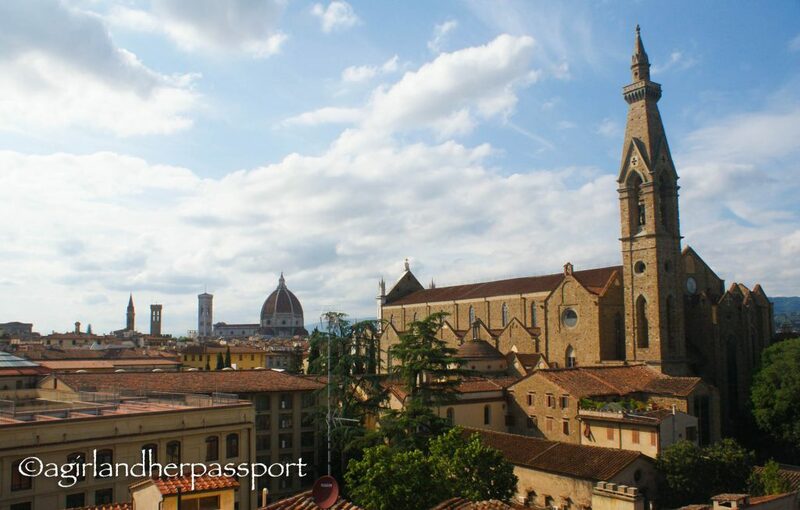 June stands out as one of the best months as I finally discovered Florence! 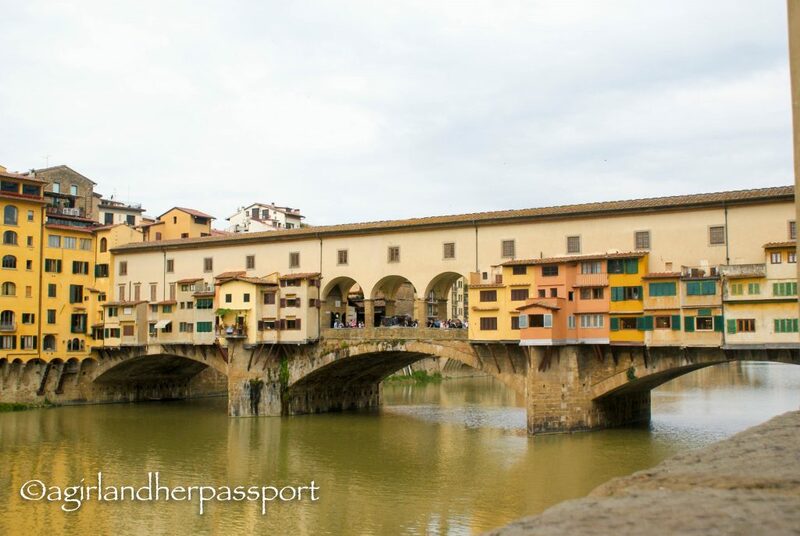 The second weekend in Italy, I headed to Florence for the first time despite having been to Italy twice before. I fell in love right away. So much so that I went back the next weekend. I enjoyed just walking around and looking at all the amazing architecture. It was like walking through an outdoor museum. The fourth weekend I was in Italy, I spent it exploring more of Umbria. 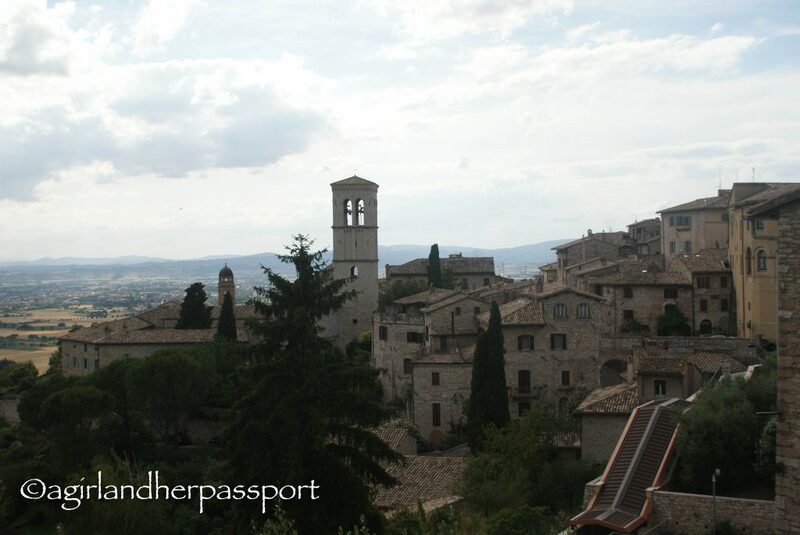 This was when I discovered the lovely towns of Assisi and Gubbio. I recommend you drive to these towns to see the wonderful Umbrian countryside. Right when I returned from Italy there was a holiday in Qatar and headed to Oman. Every summer Oman has a monsoon season which, as you can imagine, is rare in the Middle East. For three days I didn’t see the sun! In August, I need to attend a conference in the United States. I decide to combine the work trip with a visit home. This time I decided not to take a direct flight from Doha to Dallas. I wanted to fly business and the only way I could afford it was to fly American Airlines with a stop in London. Even though I prefer to go direct, the layover was short and it was nice to get a break from the plane. I spent about a week with my family. I did my usual see doctors and get a haircut routine. It is always great to spend time with my family even though it was short. The conference I attended was in Atlanta, and one of my good friends lives within driving distance. I hadn’t seen her in 3 years, and she volunteered to drive down for the day to see me! We spent a day catching up at the Atlanta Botanical Gardens seeing the Chihuly Exhibit. The sailing trip up the Nile in February inspired me to find a sailing cruise for later in the year. So I headed to Greece the first week of September to sail the Greek Islands for two weeks. I know you may be wondering, why haven’t I seen a post on Greece yet!? They are coming, I promise. I took several blogging breaks this year and happy to say I think it has improved the blog post quality and I am motivated again. I hadn’t planned on going anywhere in October, but I found a conference I wanted to attend. The conference just happened to be in Florence! I was thrilled. The conference was being held in the Uffizi Gallery Library. While most of the time was spent at the conference, I got to stay in my favorite Florence hotel. I also got to wake up in Florence on my birthday! While I didn’t travel anywhere in November, I had three Thanksgivings! It was great to catch up with old friends and make new ones. 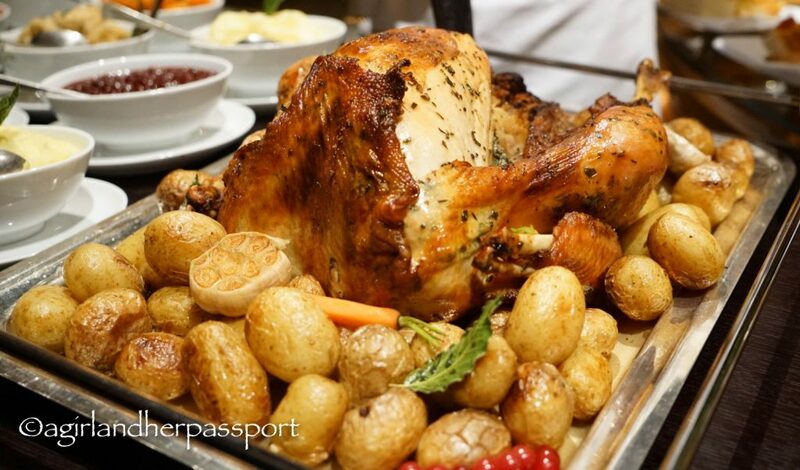 One of these Thanksgiving was an invite to the Four Seasons Doha to taste their Thanksgiving buffet. It was a beautiful meal offered at their Italian restaurant, El Teatro. The first weekend in December, I was invited by the Intercontinental Doha the City to enjoy a staycation! The room offered a stunning view of downtown Doha. I really enjoyed watching the lights come on as the sun went down from the couch. Now I am back home again enjoying time with family. We are having the usual crazy Texas weather where it is 70 during the day and then drops 50 degrees in one day. My parents have a fireplace and I am loving the fire. Christmas celebrations at our house include getting presents and stockings from Santa. Our Christmas tree has a train around it and elves climbing the side. This will be the last official blog post of 2016 as I will take the rest of the year off to enjoy being with my family before heading back to Doha. What was your best memory of 2016? Share with us in the comments.